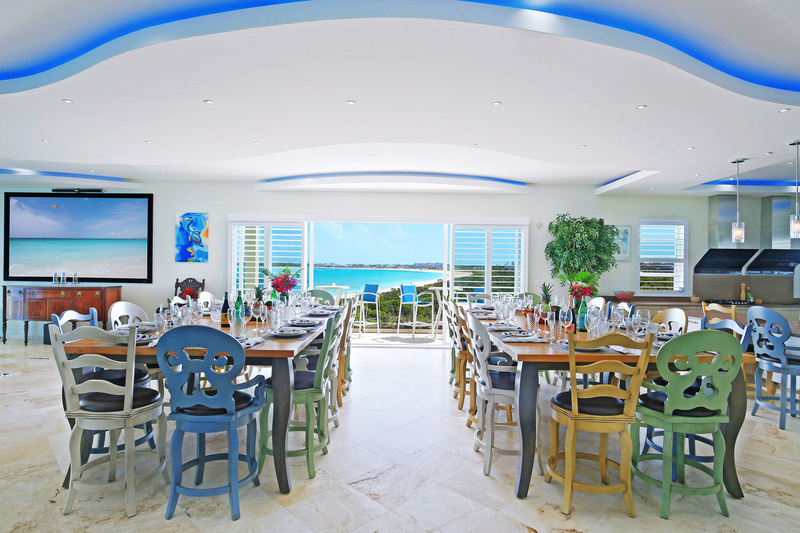 A luxury estate with 6 bedrooms and space for up to 20 guests on a magnificent stretch of white, sandy beach! 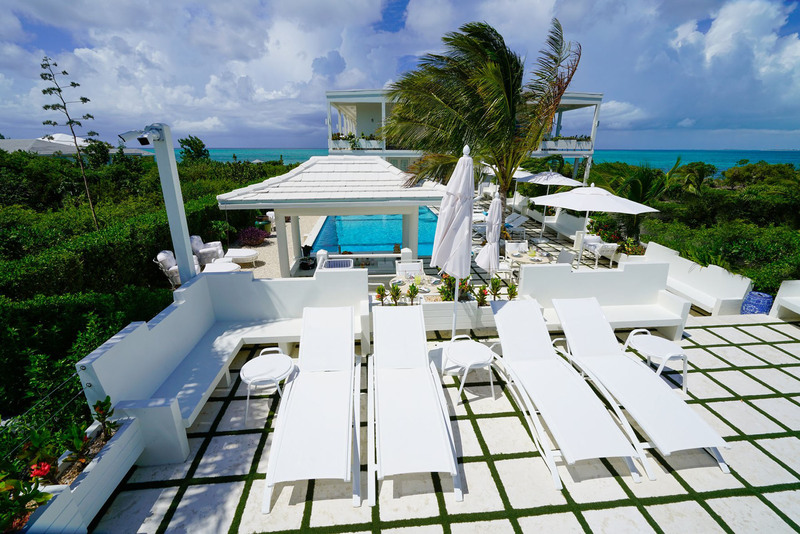 Impulse Beach Estate is located on one of the most stunning stretches of one of the best beaches in the world, Grace Bay Beach, Providenciales (Provo), Turks and Caicos Islands. This luxury estate has magnificent views of Grace Bay Beach with 6 luxurious bedrooms for up to 20 guests, private freshwater swimming pool and an abundance of space to enjoy with family and friends. 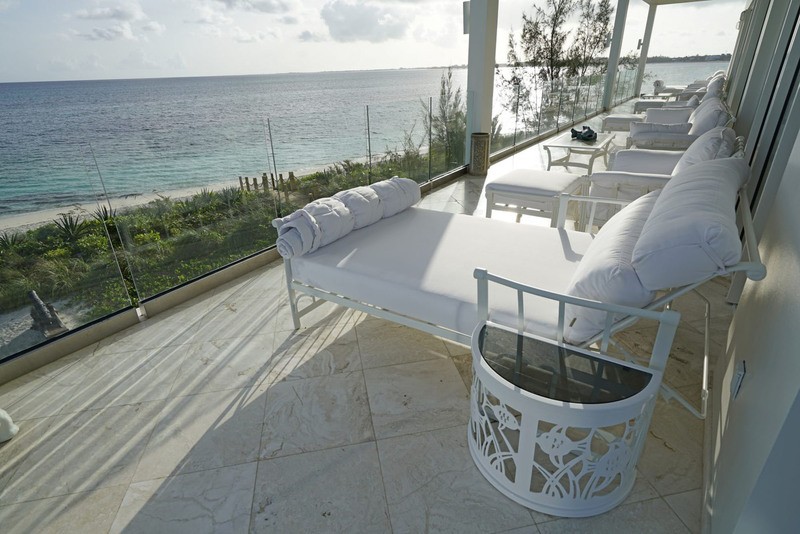 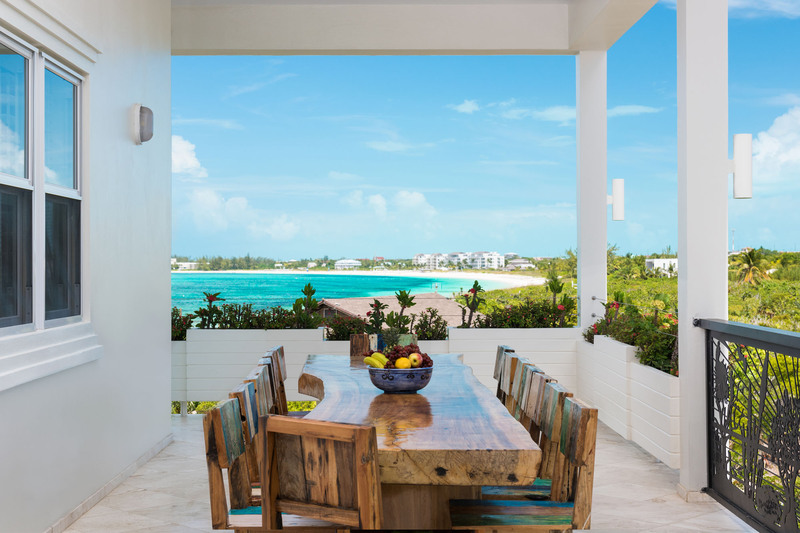 Are you ready to take your Turks and Caicos vacation experience to the next level? 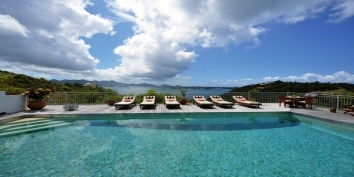 Follow the impulse to Impulse Beach Estate! 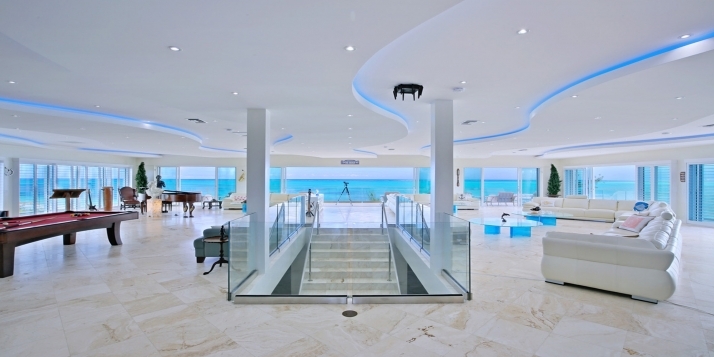 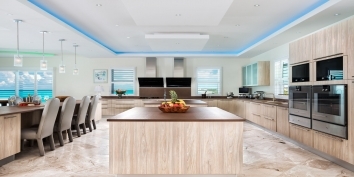 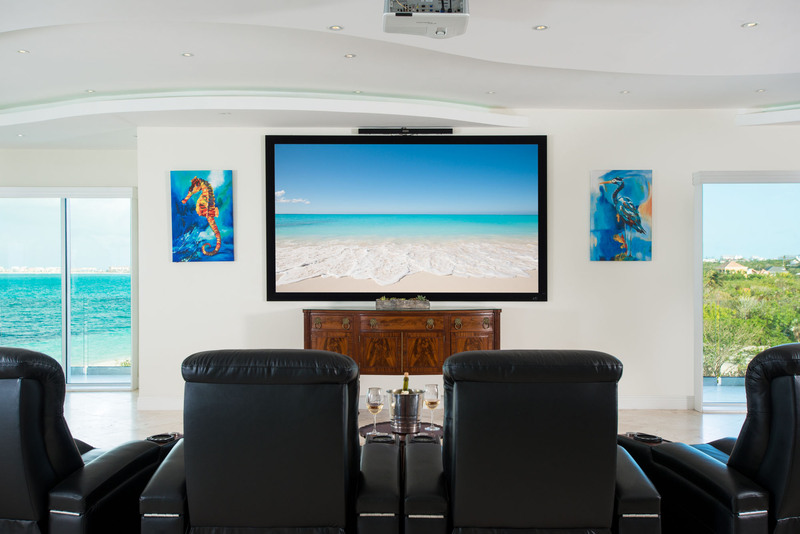 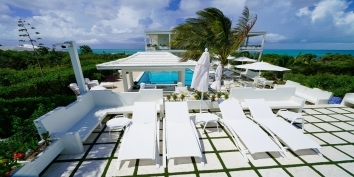 This Turks and Caicos luxury villa rental is one of the most grand and opulent villas on the island of Providenciales. 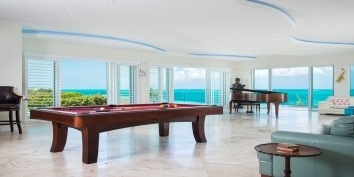 Impulse Beach Estate has not only magnificent beach frontage and stunning views of Grace Bay Beach, but also canal frontage and private boat dock to the rear. 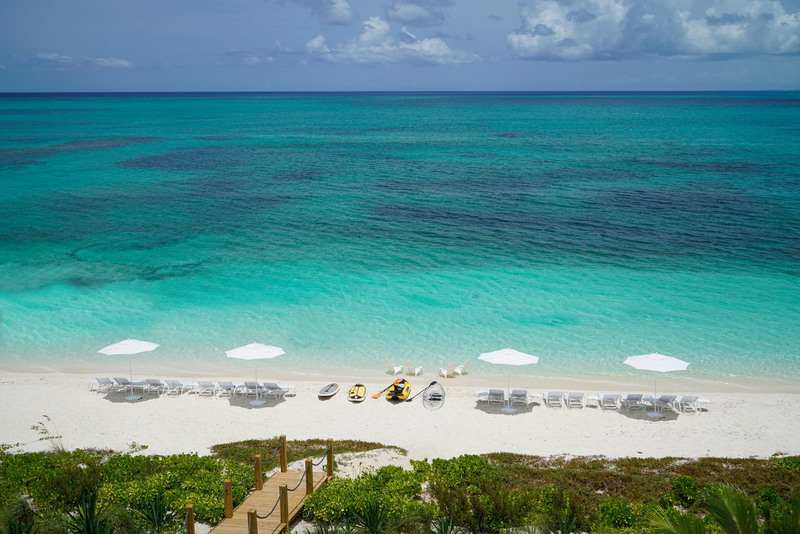 This stretch of Grace Bay Beach offers the softest white sand and gin clear water. 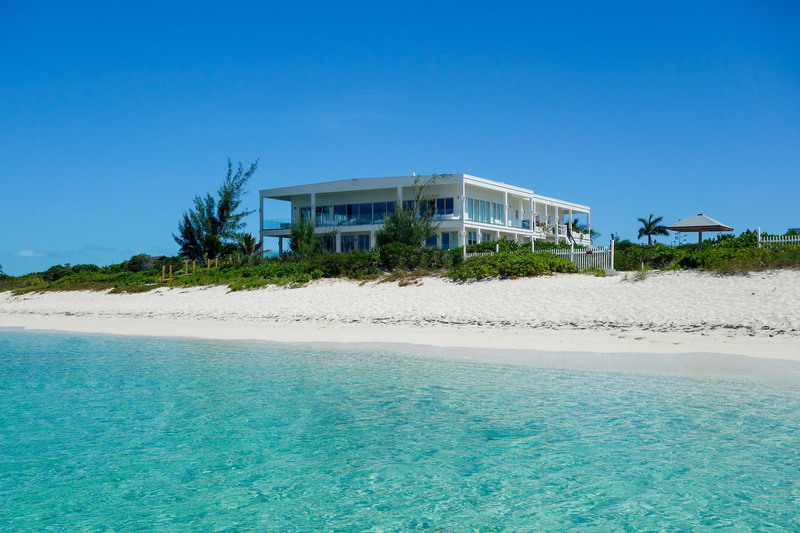 Only a short stroll away, you can snorkel right off the beach on Smith's Reef. 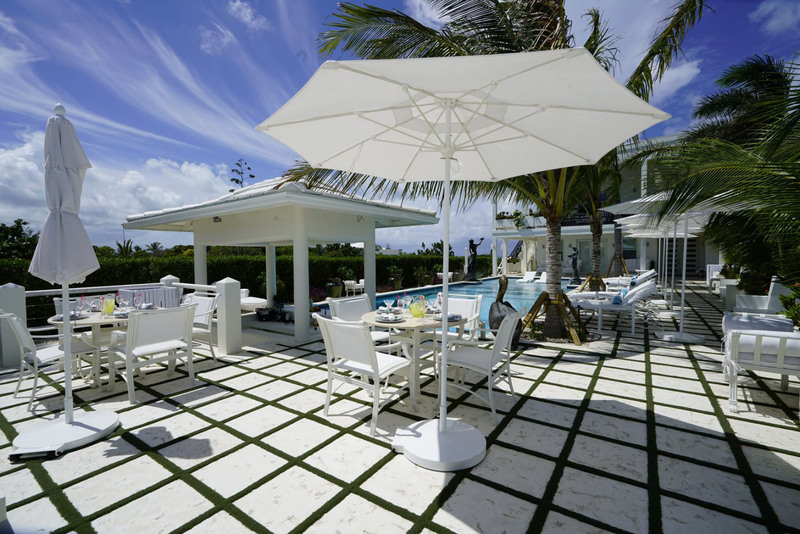 Impulse Beach Estate has a beautiful “Five Diamond”” freshwater swimming pool with cabanas and even a secret changing room with full bath. 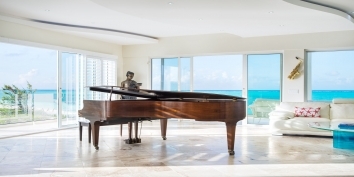 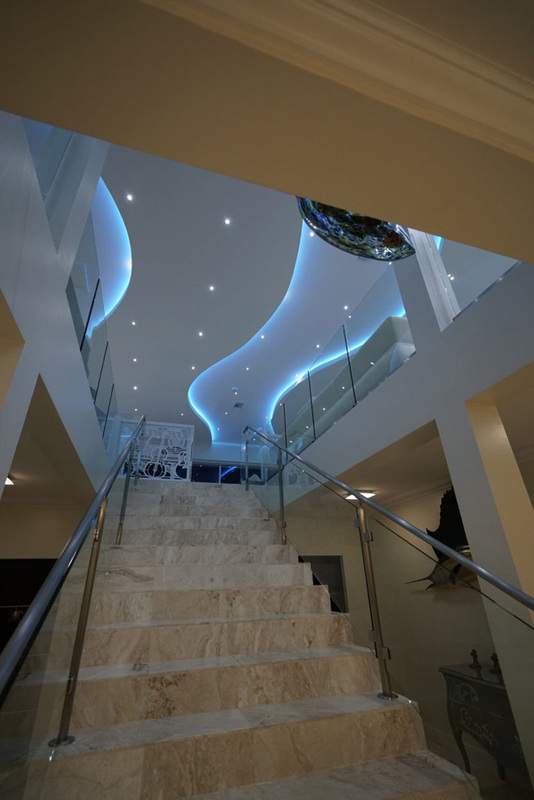 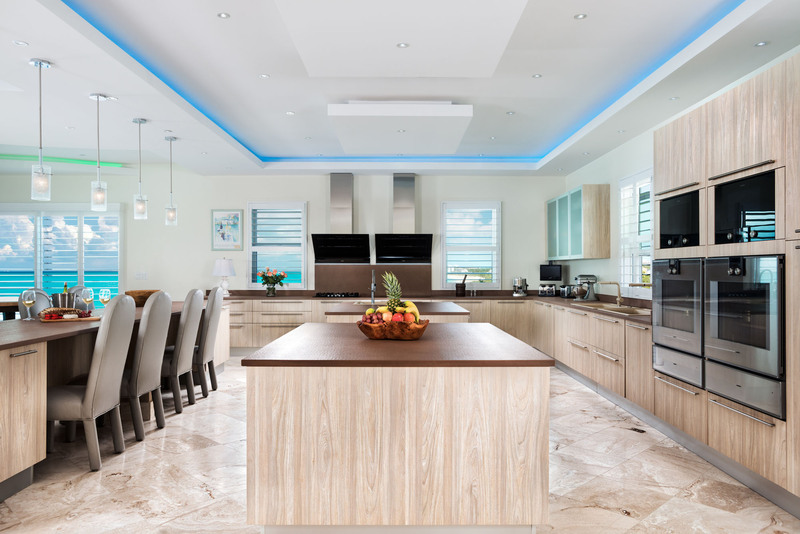 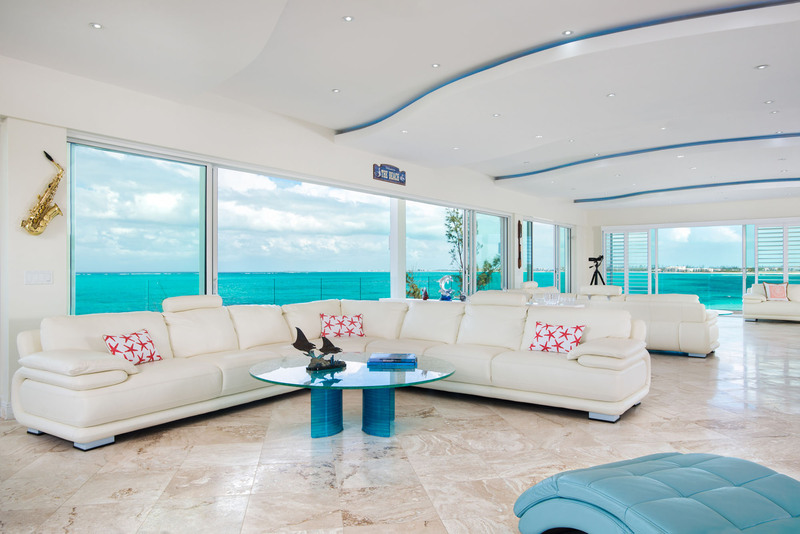 This luxury estate was specifically designed with an “upside down” floor plan to provide elevation and 180 degree views of Grace Bay from the living and dining areas. 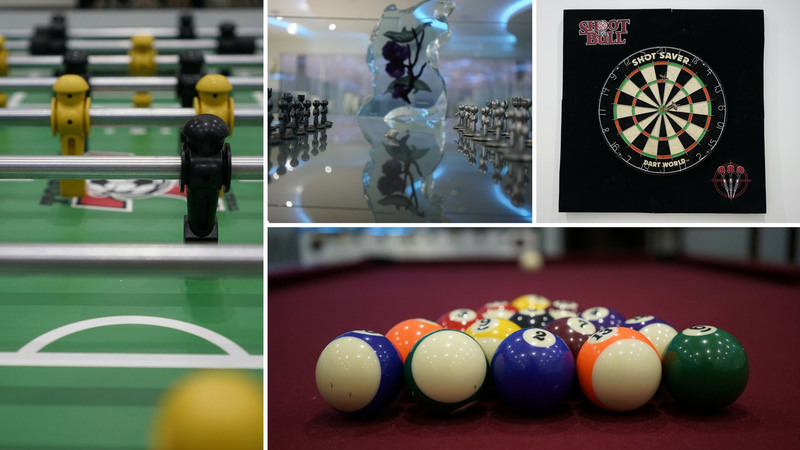 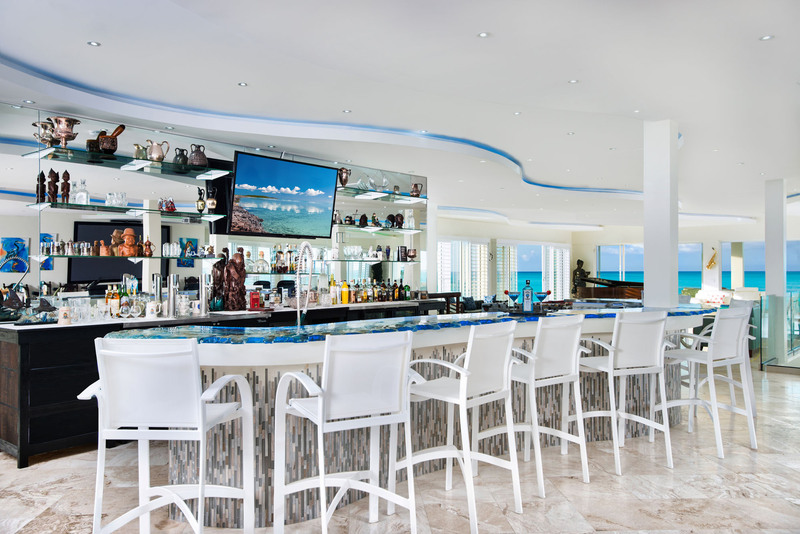 The upper level offers a new level of vacation entertainment with a slection of large and comfortable sofas, extra large private bar, 108" ultra HD large projection TV, pool table and other games and a huge chef‘s kitchen. 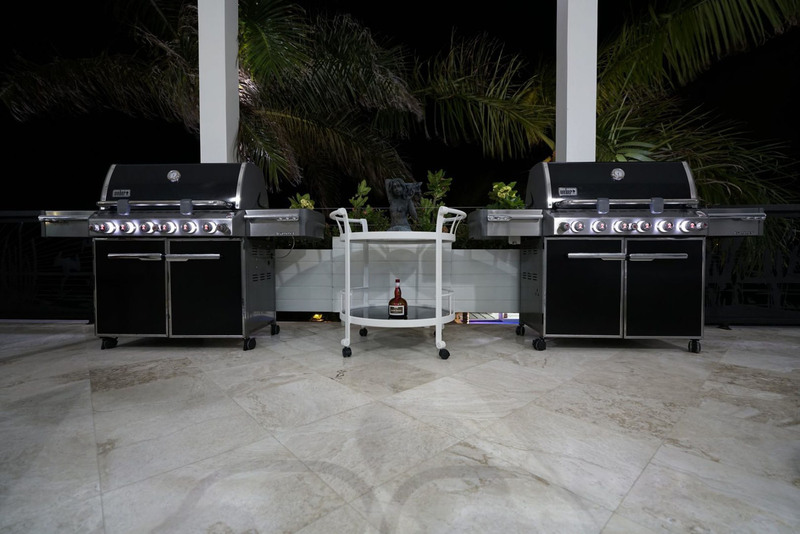 A deck wraps around the entire upper level with lots of seating, 2 BBQ grills and this level also has areas for both indoor and al-fresco dining. 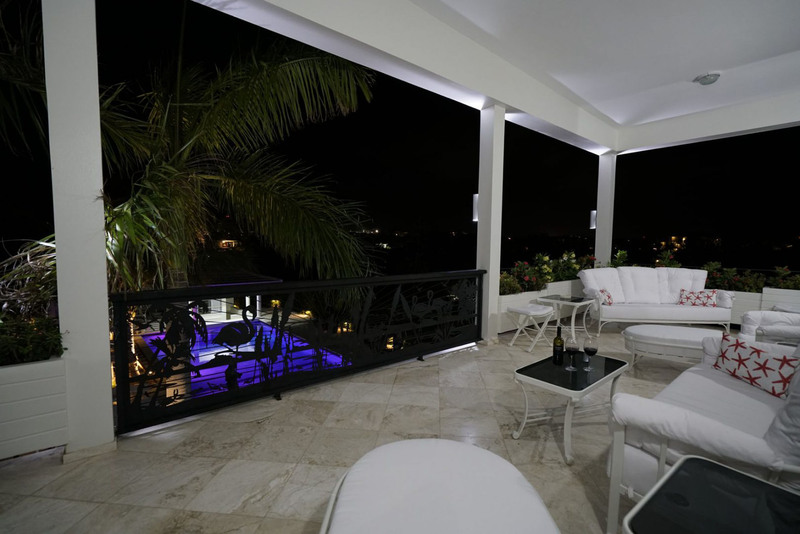 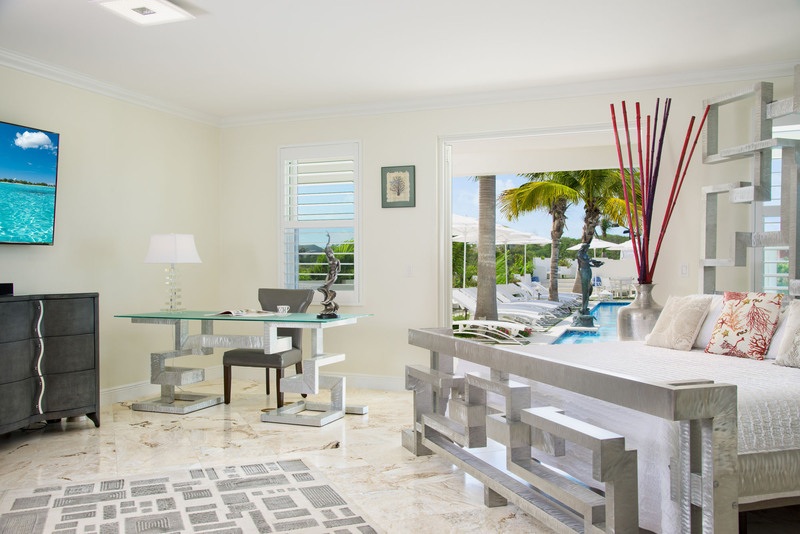 Impulse Beach Estate has beautiful furnishings gathered from around the world by three generations. 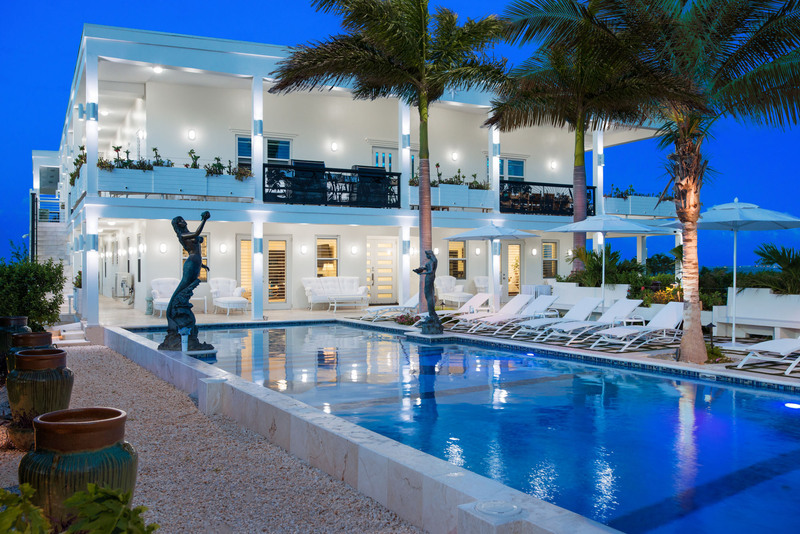 Impulse Beach Estate has six large bedrooms, each with private luxury bathroom including large soaking tub, shower stall and double vanities. 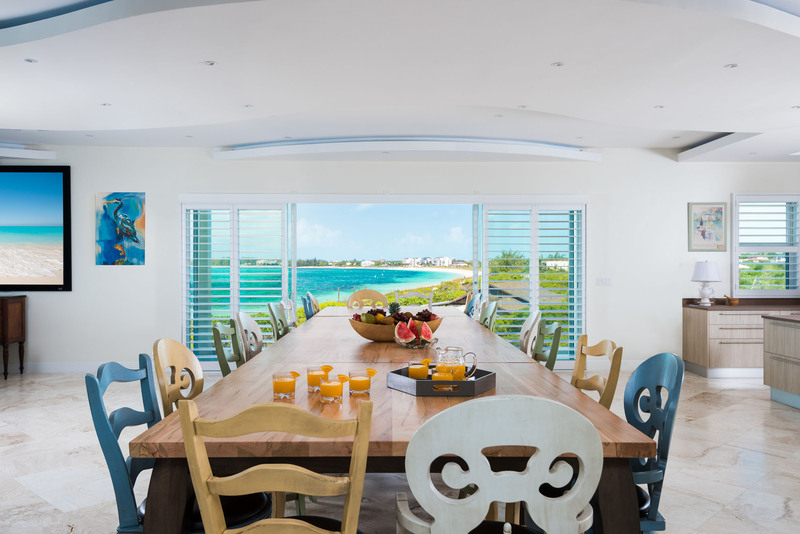 All six bedrooms of this Turks and Caicos luxury vacation rental are located on the ground floor and also offer a work desk, small kitchenette with mini fridge and even a private washer/dryer! 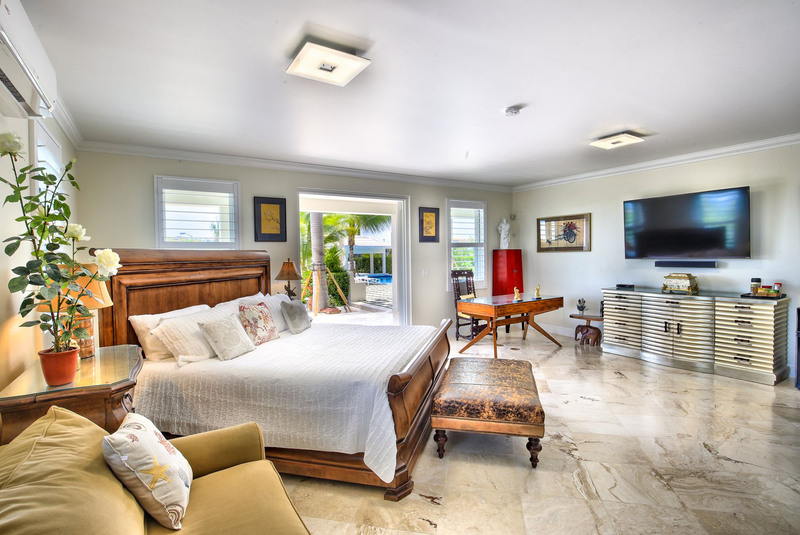 Admiral‘s Suite: King bed, ensuite bathroom with separate shower and jacuzzi bath tub, washer/dryer, mini fridge and ocean views. 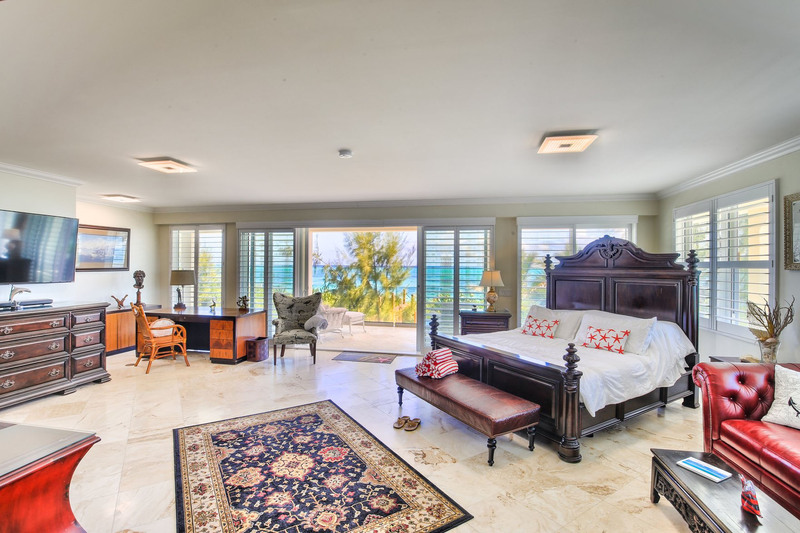 Driftwood Suite: King size bed, private bathroom with separate shower and jacuzzi bath tub, washer/dryer, mini fridge and ocean views. 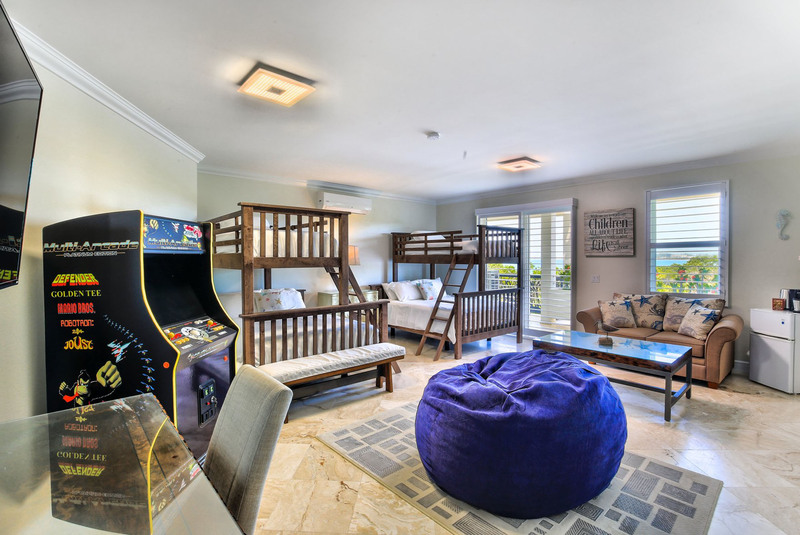 Anchorage Suite: Queen/Twin and Queen/Twin bunk beds, private bathroom with separate shower and jacuzzi bath tub, washer/dryer and partial ocean views. 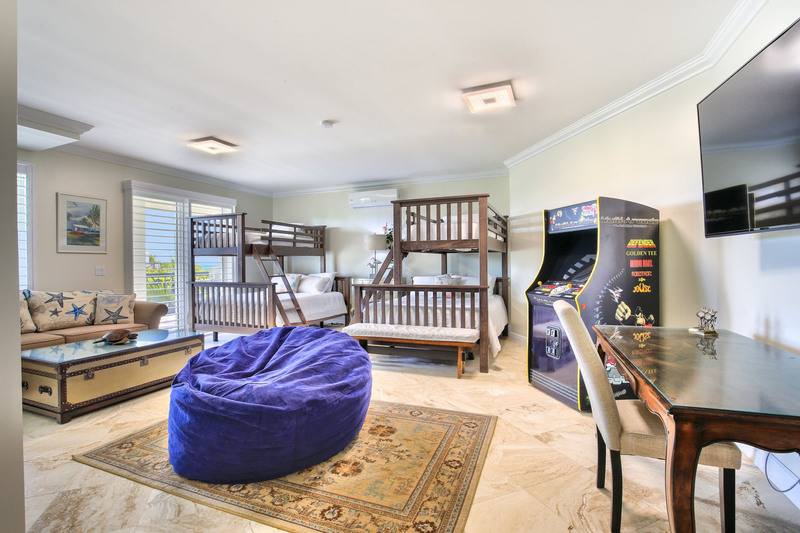 Mariner‘s Suite: Queen/Twin and Queen/Twin bunk beds, en-suite bathroom with separate shower and jacuzzi bath tub, washer/dryer and partial ocean views. 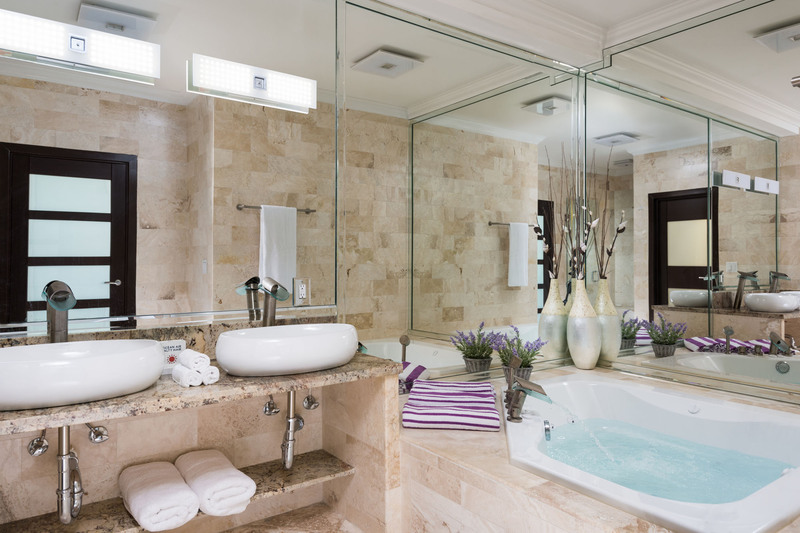 Imperial Suite: King bed, ensuite bathroom with separate shower and jacuzzi bath tub, washer/dryer, mini fridge and pool views. 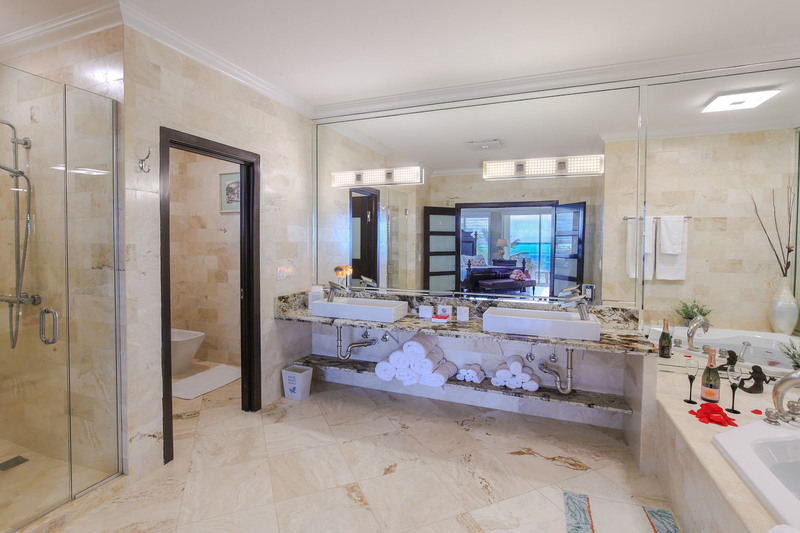 Vegas Suite: King sized bed, private bathroom with separate shower and jacuzzi bath tub, washer/dryer, mini fridge and pool views. 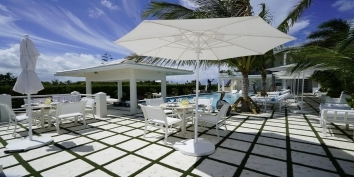 Daily villa attendant who will setup beach chairs and umbrellas, prepare pool cabanas etc.. 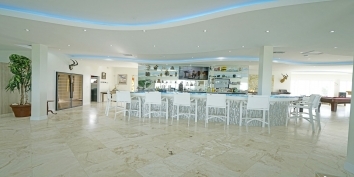 He will serve simple beverages e.g. soft drinks, beer and wine, but he is not a trained bartender and you will have to prepare your own cocktails and specialty drinks. 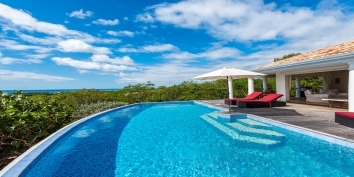 Golf cart for easy transportation to the coffee shop just around the corner as well as great snorkelling just along the beach at Smith‘s Reef. 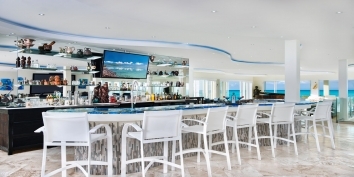 The golf cart cannot go any further than the coffee shop, so it cannot be be used as transportation to the marina, restaurants, supermarkets etc. 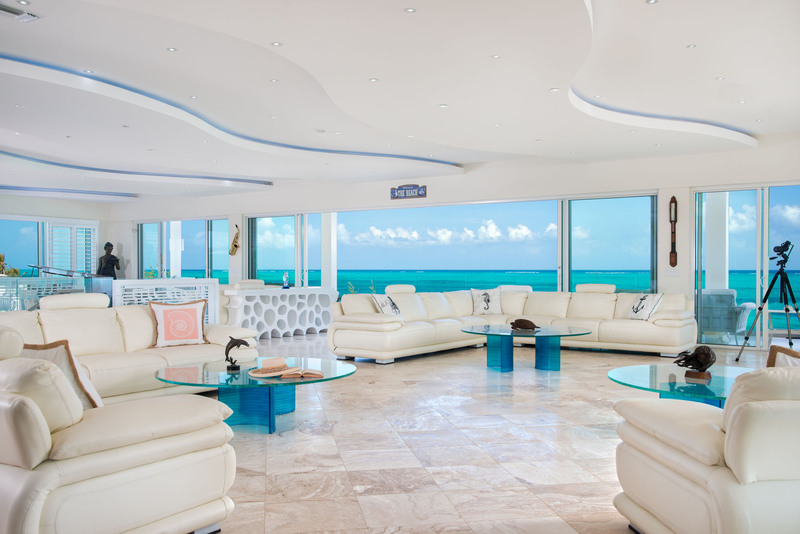 Fully refundable $5,000 security deposit. 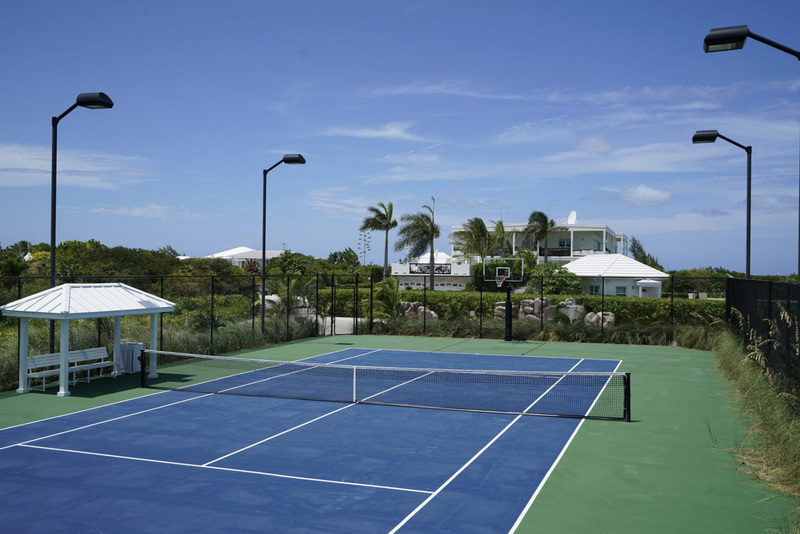 Rentals are offered on a Saturday to Saturday basis with exceptions sometimes being made for very short notice bookings. 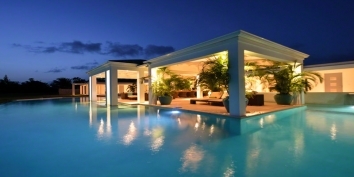 Rates reflect an occupancy of 20 people or less. 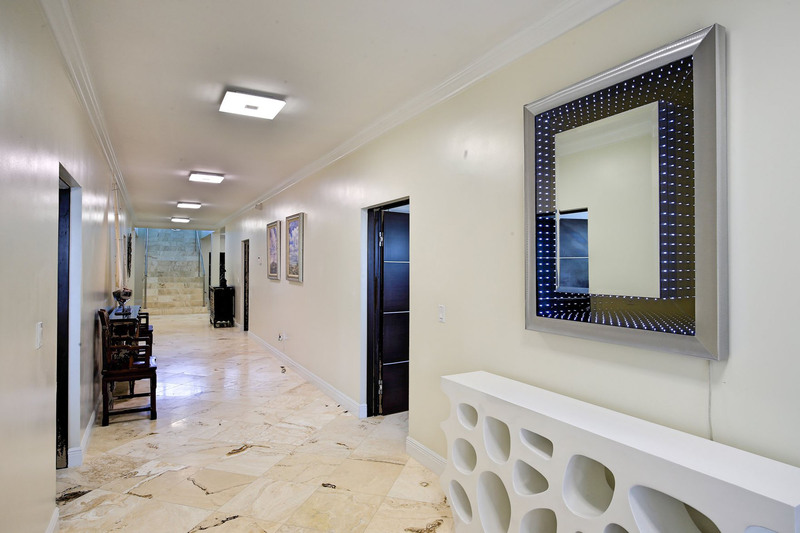 The air conditioning is metered to discourage use with doors and windows open. 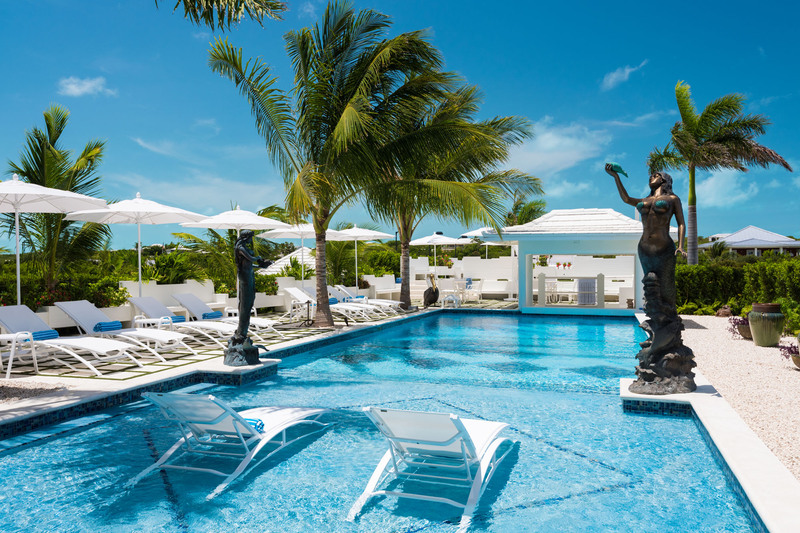 You will not be charged for the first $500.00 of consumption per week, but any usage above that amount will be charged back to guests at cost. 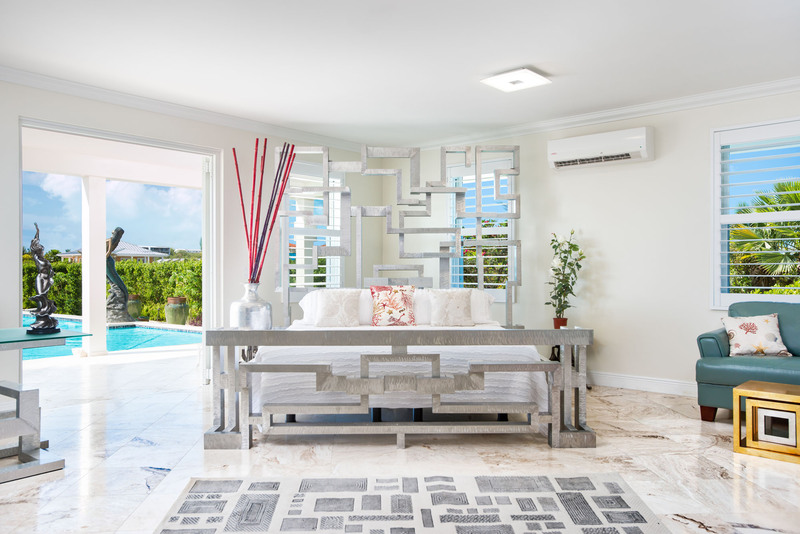 Impulse Beach Estate is fully air conditioned with individual units in the bedrooms and central air conditioning in living areas. 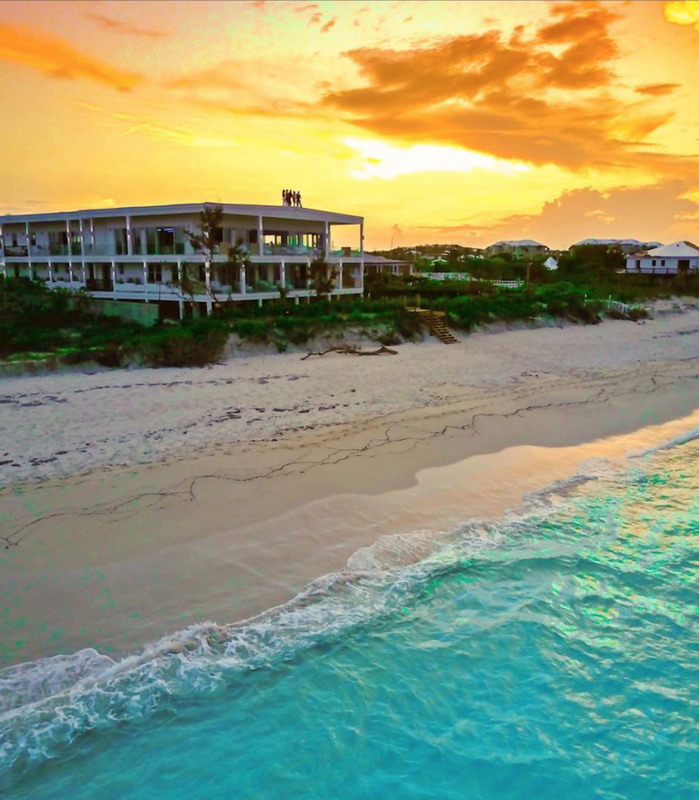 Google Map showing the approximate location of Impulse Beach Estate on Grace Bay Beach, Providenciales (Provo), Turks and Caicos Islands.